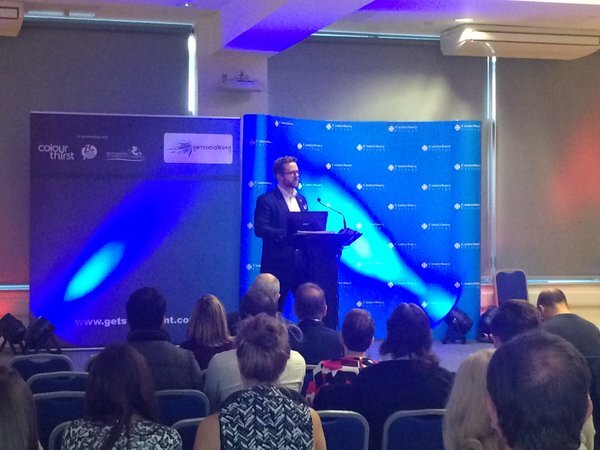 On Thursday 29th October, Kent’s best businesses and agencies gathered at Canterbury College for a day packed full of all things social media! The event was organised by the lovely Zoe Cairns from ZC Social Media, and saw the likes of speakers such as: the lady herself, Zoe Cairns; Adam Waters, Digital Content Lead, Ministry of Defence; Jo Wimble-Groves, Founder & Director, Active Digital; Our very own Luke Quilter, Managing Director, Sleeping Giant Media; David Mark Shaw, Head of Digital Marketing, Hobbs Park Technology; and Luke Redding, Director, Reddico. Nearly 500 delegates attended Get Social Kent. Highlights include Special Guest speaker Adam Waters from the Ministry of Defence. Adam offered some interesting insights into how the world of social media is managed and produced by an institution as private as the Ministry of Defence, and the social strategies employed by the MoD in order to reach its three million Facebook followers. “Digital is measurable, digital is transparent”, Adam said, and we couldn’t agree more! Following Adam, donning his signature eye-catching red trousers, Luke Quilter took to the stand to discuss “Search Marketing and The Importance of Social Media”, exploring exactly how reliant upon digital devices and search engines we are. 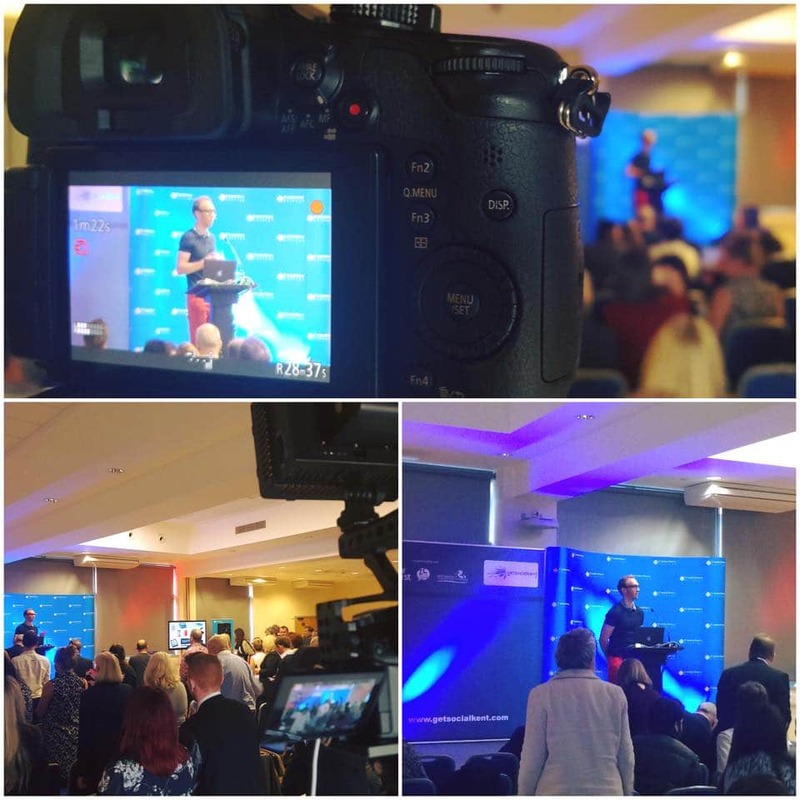 Luke’s talk was a hit, and Jo Wimble-Groves of Active Digital had this to say, “Insightful and honest keynote on moments and social media from Luke Quilter”. RAP Interiors also reaffirmed that “Your consumers don’t go online….They live online! Great talk so far Sleeping Giant Media”. We really enjoyed our time at Get Social Kent and met some lovely delegates, thanks so much for having us and we will see you all again next year! 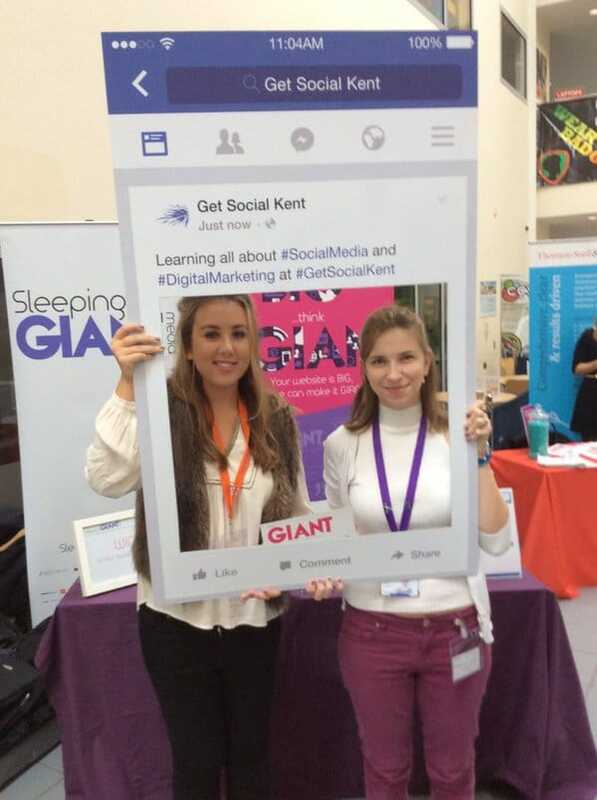 You can follow the Get Social Journey with #GetSocialKent on Twitter, Facebook and Instagram. However, it is not over just quite yet… We’re holding our own FREE Customer Focused Digital Marketing Talk on 17th November at the Hazlitt Theatre, Maidstone. Guest speakers include: Zoe Cairns from ZC Social, Luke Quilter from Sleeping Giant Media, Damon McColin-Moore from iFour and Steve Kreeger from Red Bullet. Places are going fast, click here to sign-up and get your free place before they’re all gone!